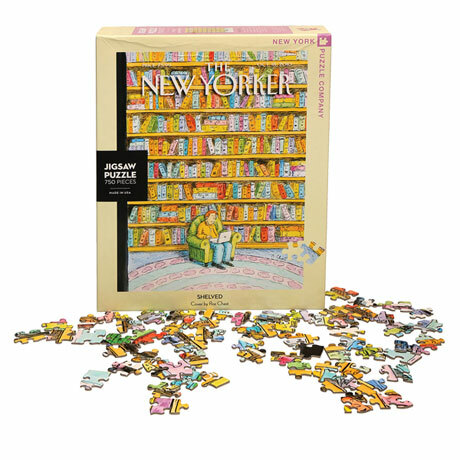 Cartoonist Roz Chast's wry commentary on books and reading in the age of computers was the cover of the New Yorker on October 18, 2010. The spine of each book is a face, and each face wears an expression: sad, concerned, perplexed or peeved. 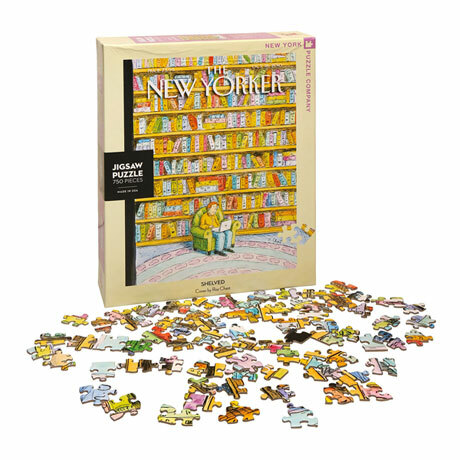 750 pieces. Finished size 18" x 24". Ages 8 and up.